Two sisters run out of time and get trapped under the fiberglass cover of an Olympic sized public pool and must survive the cold and depletion of oxygen to survive the long night. Admit it, this is something we've all thought about happening at least once in our lives. Getting trapped in a swimming pool with no one knowing about it, well as someone who grew up swimming a lot I know I have. The film itself got quite a bit of hype before its release, the trailer got a lot of peoples attention, including my own, and was shared around quite a lot on social media and film sites. As I've said many times before garnering that much attention can be a good and bad thing, ultimately you're going to have a few disappointed watchers. I saw this wave of disappointment form online but in all honesty I just didn't understand it. 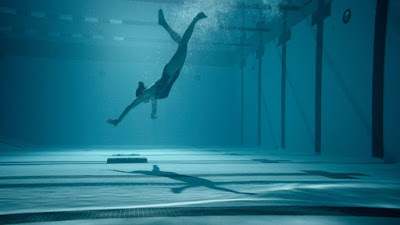 The film gives you what it promised you, two characters trapped overnight in a pool as they fight for their survival, so when I saw the backlash the film received I was seriously perplexed about it all, more so in fact because I loved it. As I said the film story is simple but that doesn't make it any less entertaining, it's also highly thrilling and extremely claustrophobic which makes for some great viewing. It also helps that the characters aren't just one dimensional, you see some great character development and a couple of additional subplots to help the film roll on. The one location setting may put some people off but what else were you expecting here? I myself enjoy a one location set Horror, I find it can help make the film more intense as you're focus isn't too far stretched too other sets and characters. You're stuck in that one place with the characters and you're along for the ride with them. 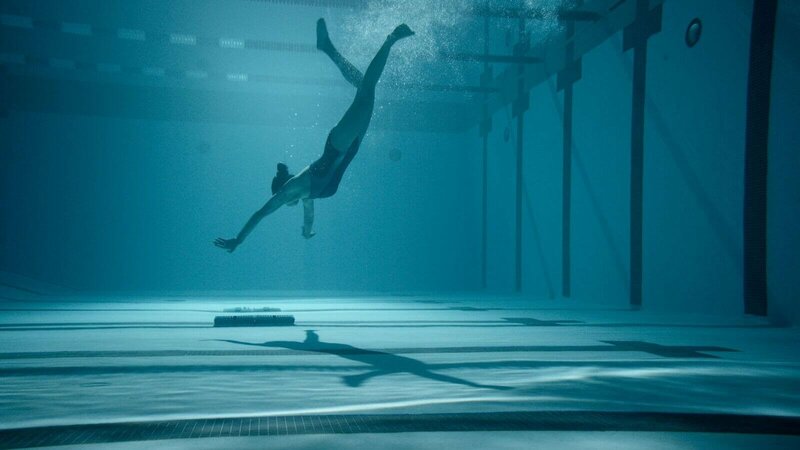 "12 Feet Deep" may have a simple premise but this film is anything but, it's a roller coaster of a film that pulls you along for the ride. Just sit back and enjoy it for what it is. Shot in only 14 days in multiple location's. Director Matt Eskandari said the film stemmed from his own fear of pools and oceans by saying: "Pools and oceans all trigger a bona fide sense of dread for me. Just the whole idea of being trapped in a pool makes me sweat. I decided to tap into that fear and the concept blossomed from there." Jonna is named as an homage to Jonah from the Old Testament a character who is trapped in the belly of a whale. The character played by Tobin Bell is named McGradey after the former caretaker from the director, Matt Eskandari's favorite horror film, "The Shining." The public pool in the film is called the Ketea Aquatic Center named after the monsters of the sea in Greek mythology, the two greatest of which were famously slain by Perseus in Aithiopia and Herakles at Troy. Comparable to '47 Meters Down'? Both are one location films set in water starring sisters so yeah I guess so, both have a different atmosphere to them though.